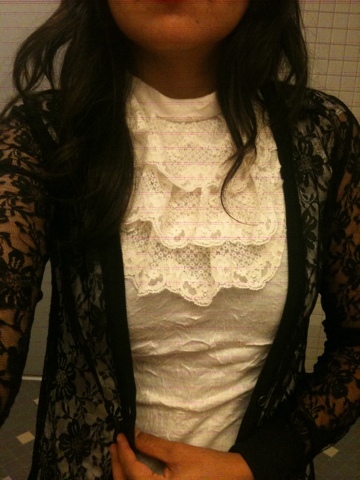 I felt like mixing up this black lace cardigan with a cream colored sleeveless top that has a flirty lace neckline. When I choose my outfits I don't really have any rules, I tend to purchase anything that is wrinkle free. Or anything that is purposely wrinkled. ;) In this outfit since the cardigan is black I felt like layering it. I've had the cream top for a long time, and I now categorize it as one of my Vintage tops. What's your take on lace?